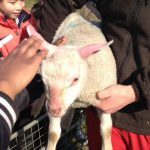 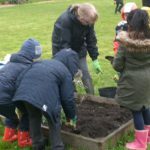 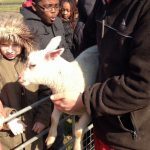 Each class at Sacred Heart Primary become involved with the Food and Farming project for a half term each school year. 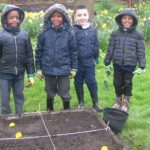 They grow their own vegetables in the Parish Gardens and cook healthy food by following recipes. 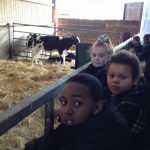 They even visit a real working farm. 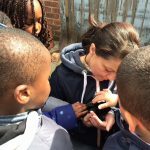 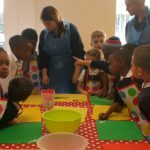 This links in with other subjects which the children study in school such as Science, Literacy and PFEG. 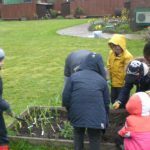 If you would like to help out at one of the cooking or gardening sessions, please check the timetable to find out when your child’s class is involved and speak to their class teacher. 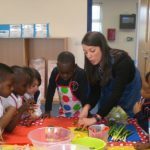 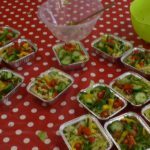 There are some of the children’s favourite recipes below if you want to try cooking something together at home.